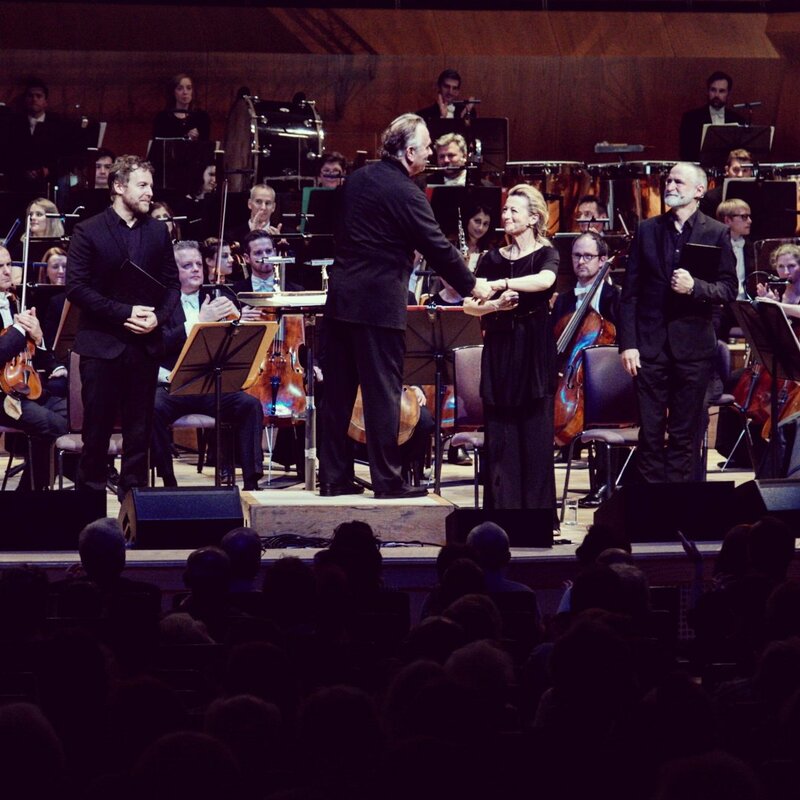 Somehow, the Hallé Orchestra’s Beyond the Score series slipped under my radar. But, if last weekend’s performance is anything to go by, then I’ve missed some remarkable evenings at Manchester’s Bridgewater Hall. The purpose of Beyond the Score is to provide context to the life and works of famous composers in innovative and exciting ways. 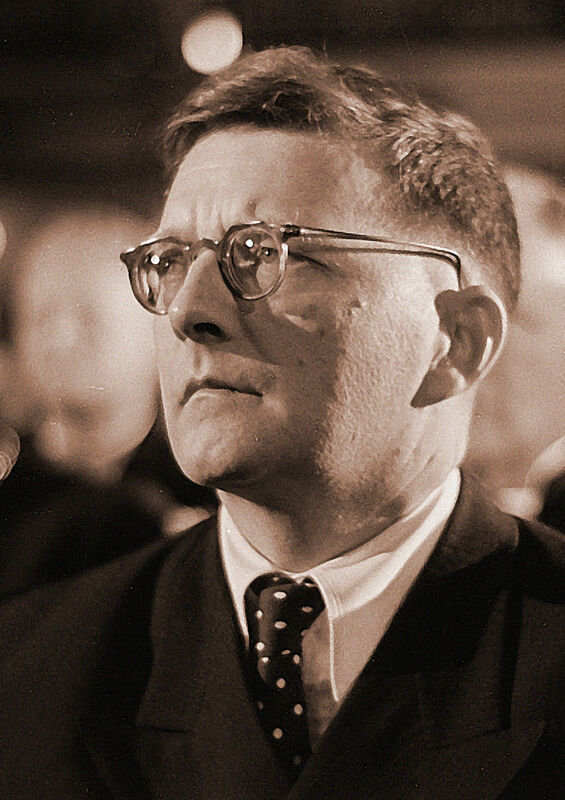 This, the fourth in the series, undertook to throw a spotlight on the life of the great Soviet composer Dmitry Shostakovich and his stunningly powerful fourth symphony. The evening began with a clever and effective dramatisation from George McBurney, creative director for Beyond the Score, in which diaries, letters, prose and poetry were read by a troupe of actors including Tamzin Griffin, Robert Pickavance and Samuel West – the last of whom already has history with the orchestra. All three did much to build an atmosphere that steadily drew the audience into the Soviet Union of the 1930s. Gradually, the comrade actors surreptitiously educated the workers and peasants in the audience in Soviet Realism and the struggle to subsume the individual into the collective. In this they were skilfully assisted by a well curated selection of silent films, everything from Eisenstein to Chaplin (all accompanied by the orchestra) as well as posters and art from the era, much of which was drawn from the superb collection of the late David King. By the interval these collective efforts had established, in the minds of a clearly appreciative audience, the world in which Shostakovich had laboured to bring forth truth and beauty, commodities which were strictly rationed for ordinary Soviet citizens. After the interval there was a complete performance of the symphony, and what a powerful performance it was with more than 100 musicians on stage. The fourth is rarely performed, in part due to the sheer numbers required, but also because of the intense demands it places upon the musicians. Bows rose and fell like pistons in a power station; percussion pounded like steam hammers in a metal works; brass alternated between exhorting the workers onward and slyly mocking the system, while woodwind beckoned us ever deeper into the Soviet darkness; all of which called for a truly heroic performance from the Stakhanovites of the Hallé. In his fourth symphony, Shostakovich never truly sacrifices harmony. Atonality, so often the road of choice for the talentless in the latter part of the last century, is never fully embraced and in this can be seen the influence of Mahler, in particular that of his seventh symphony. 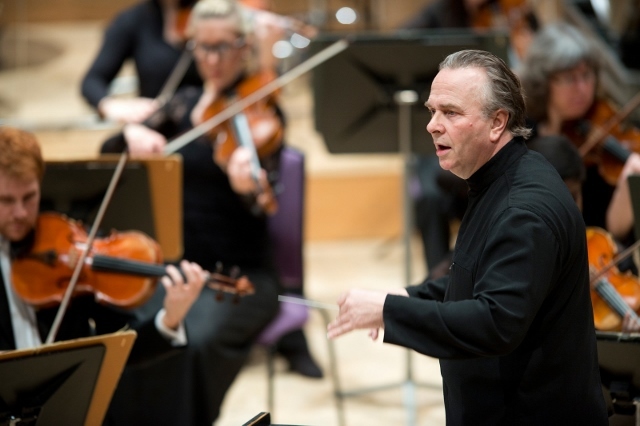 Immense musical power was balanced with the quiet pathos of the oboe and all skilfully directed by the great commissar conductor at the podium, Sir Mark Elder. What’s not in doubt is the fact that, at least twice in Shostakovich’s life, Soviet power came very close to destroying him. Being a respected figure in the arts, and previously held in high regard by the authorities, was absolutely no protection from the arbitrary terror imposed by the pigs in the Kremlin. Shostakovich found this out in January 1936 when out of the blue a brutally damming review of his hitherto highly successful opera Lady Macbeth was published in Pravda. The review bore the headline Muddle Instead of Music and was rumoured to have been written by Stalin himself after he’d walked out of a performance of the opera in Moscow. In it Shostakovich was denounced and accursed of all manner of heretical practices, accusations which at any point in his adult life could have led to his being sent to the Gulag. But this was 1936 and the Great Purge was about to begin, during which such accusations led to the deaths of more than 600,000 Soviet citizens. 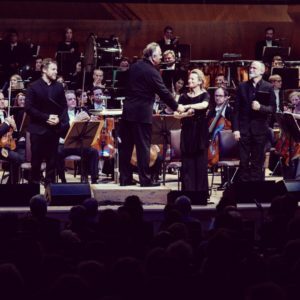 It was in this climate that a disgraced Shostakovich finished his fourth symphony, a symphony that wasn’t to see the light of day for 25 years when it finally secured its première in Moscow to great critical acclaim. And while we’re considering the matter of memory and legacy, let posterity also note that in the Bridgewater Hall in Manchester, in 2017, Dmitry Shostakovich, his fourth symphony and the Hallé orchestra were cheered to the echo. Urrah Dmitry, URRAH!